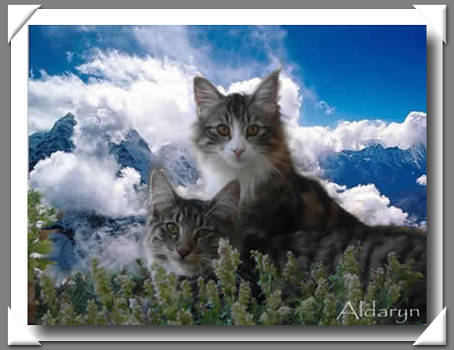 I welcome you among the Aldaryn's Cats. 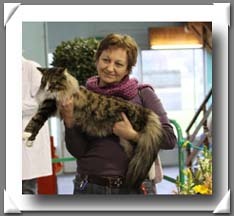 The Norwegian Forest Cats came in my life in June 2005, with Amaryllis du Pré du Walhalla. 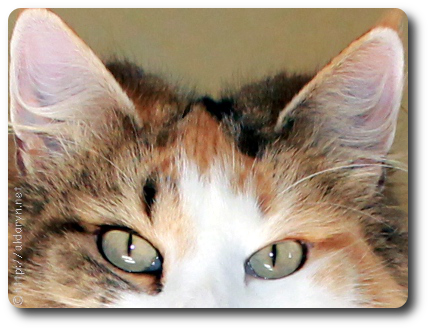 This wonderful female cat is the source of a big passion. I shall never thanks enough Brigitte, her breeder, for confidence. October of the same year, see Ainù Elnya du Val de Saône's arriving, and, in June 2006, Bohëm du Bois de la Chartreuse. No way to resist at the pleasure to see gorgeous kittens to be born and grow. 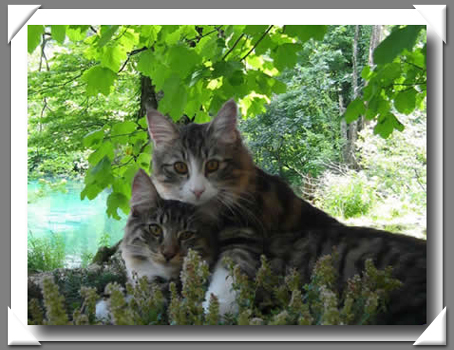 It's on 20 Septembre 2006, during Amaryllis's gestation, that was born Aldaryn's cattery. I wish you great pleasure going through the pages of my website. I hope those wonderful and magics cats will take you in a daydream and maybe I will see you soon !